We offer onsite professional development in Digital Literacy, 21st Century Skills, Data Feedback Strategies, and Exemplary & Research Based Strategies for Instruction. Our team of trainers is a group of highly qualified Teacher Ambassadors who work with groups of educators across the country. We help you assess your school’s commitment to teaching and learning with a constructive pedagogical exchange. We want to partner with your school or district to help you customize and sustain professional development as you build teacher capacity with 21st century leaders. Our services can be customized to meet your every need with workshops and staff development, ongoing follow-up for observation and feedback facilitated by our very own teacher ambassadors. We will assess your site and work with your to help determine what direction your group wants to head. 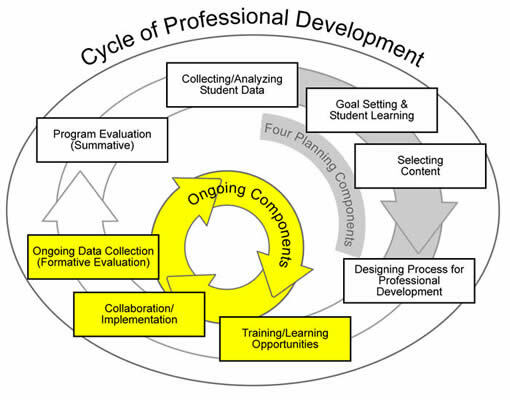 School-Based professional development provides schools and districts with exceptional on-site professional development. Interactive, collaborative, and reflective learning opportunities allow teachers to explore and try on best practice strategies based on the research and expertise of our very own Teacher Ambassadors that have the real world experience of the classroom. From targeted seminars to ongoing professional support and coaching, US Digital Literacy offers professional development tailored to effectively support your efforts to increase student achievement. Our Teacher Ambassadors are real classroom teachers, not just glorified consultants. They are highly qualified educators and skilled presenters. They each have a commitment to education and a seamless blend of knowledge and experience. Contact us to talk about a plan for your group today. We purposefully do not list a menu of seminars, because all plans are based on your customized needs. We will provide a needs based assessment tool to help identify areas of growth for your school or district.